Your wedding day is one of the most important days of your life. You have dreamed of this moment since you were a little girl, and everything has to be perfect. At Salon Naava LLC, we know that a wedding day can be a stressful series of events that often leaves the bride worrying about overseeing the details rather than enjoying her special day. 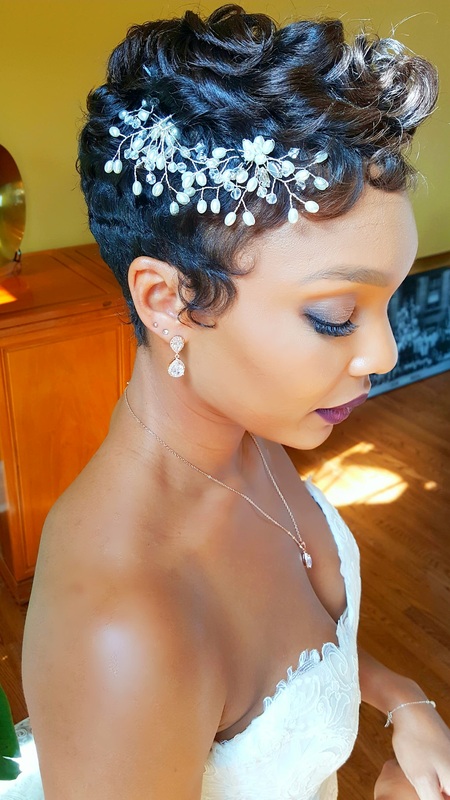 At Salon Naava LLC, we want to alleviate that stress for you by offering our unique and high quality bridal hair services to you on your wedding day. We are a team of professional, fully licensed, and experienced hair stylists. We are fully equipped to execute all different types of hair styles for you out of the comfort of your own home or bridal room.